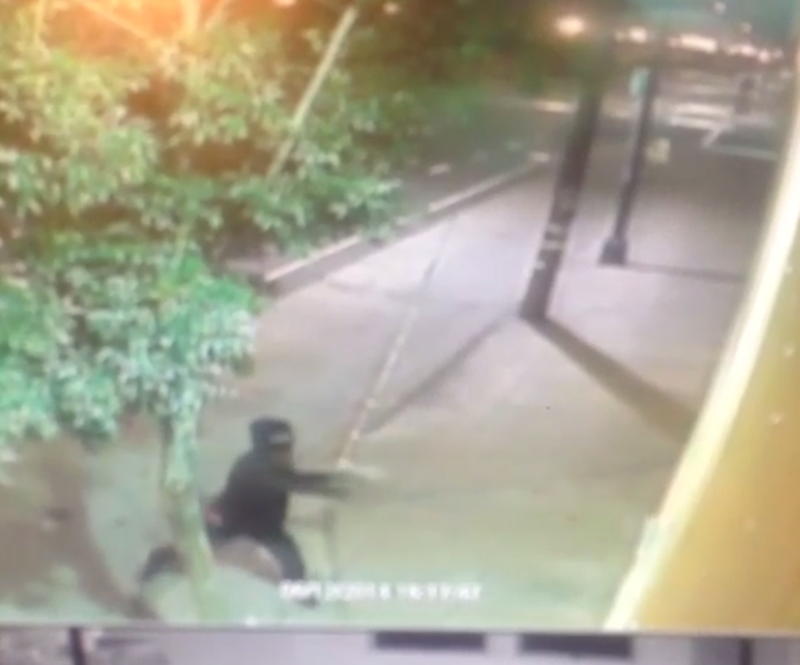 At around 1 a.m. this morning, two people dressed in black with masks covering their faces threw concrete into the windows of Kilovolt Coffee, a new West Oakland business that opened its doors in April. That's according to co-owner Ethan Ashley, who reviewed security footage this morning after the manager opening the store discovered the damage. Ashley, a West Oakland resident, said he has little doubt why his business was targeted: Last night, the Oakland Planning Commission approved a controversial redevelopment plan that has been in the works for years and has sparked protests about gentrification. 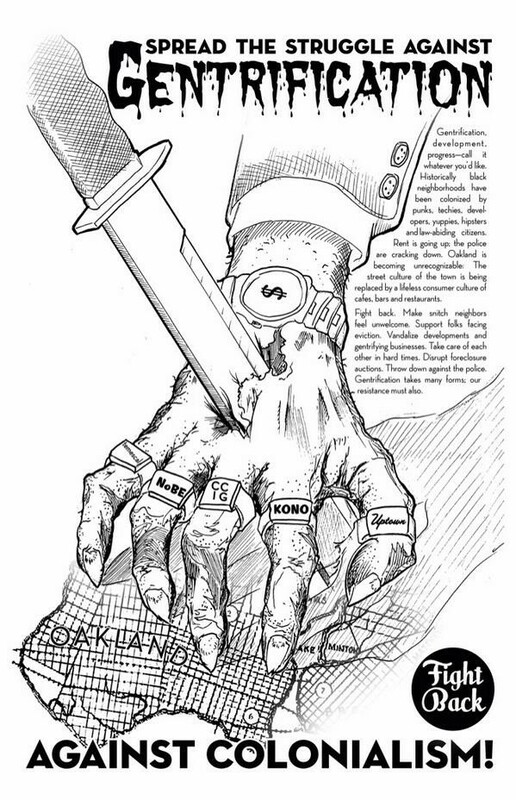 The stated intent of the so-called West Oakland Specific Plan is to spur new housing and commercial development in the neighborhood through zoning changes and other strategies. Critics, however, say the plan (which still requires approval from city council) will drive out longtime, low-income residents. And this week, some opponents have argued that the best way to fight back is to vandalize establishments they believe are responsible for gentrification. Ashley attended the public meeting last night, which apparently involved some fairly heated protests. Ashley said he is confident that the damage to his store was related to the plan's approval, given the intense backlash at the meeting and flyers like this one that opponents circulated yesterday. 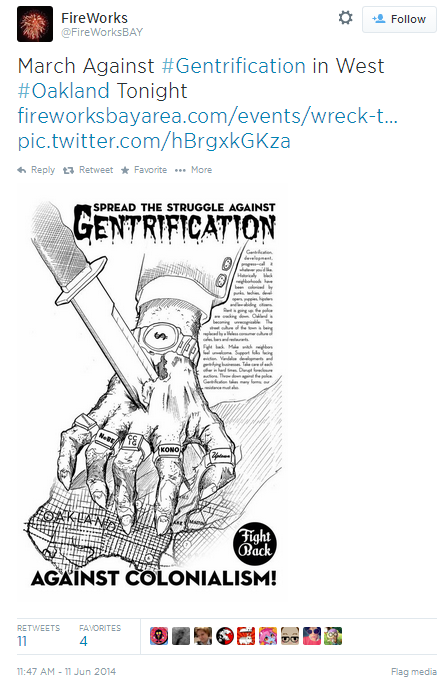 That one had the title: "Spread the struggle against gentrification," and later stated, "Fight back. Make snitch neighbors feel unwelcome. Support folks facing eviction. 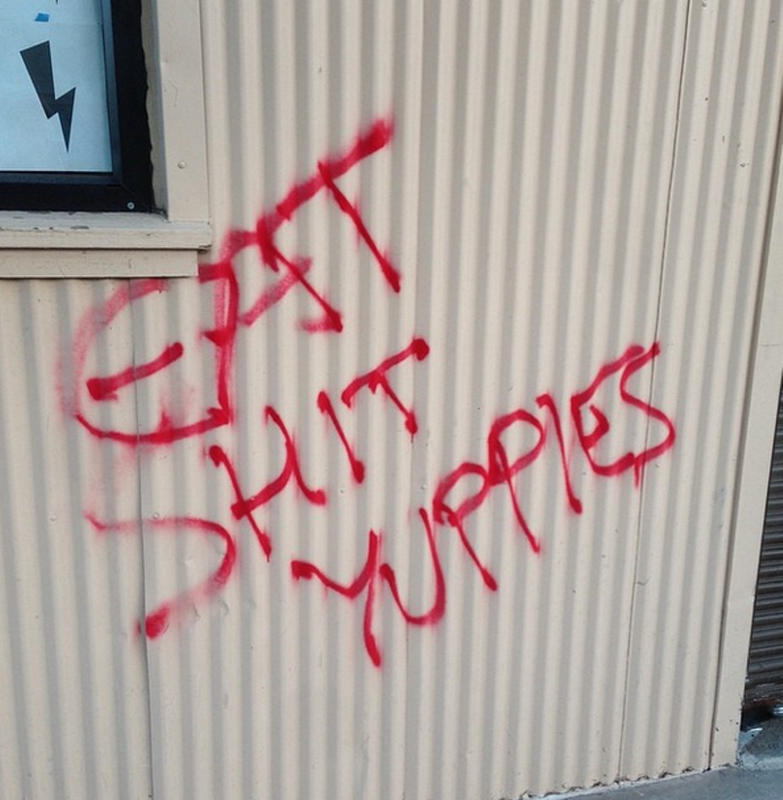 Vandalize developments and gentrifying businesses" (emphasis mine). The tweet comes from Fireworks Bay Area, an anarchist group; Fireworks did not immediately respond to my request for comment via email this afternoon. 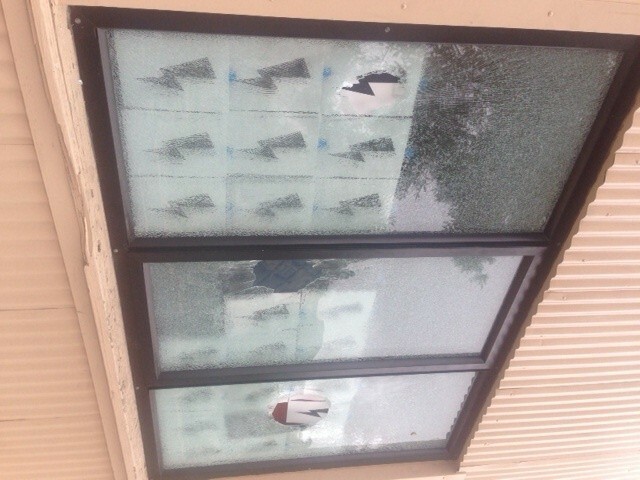 There is, of course, no way to know at this time if that flyer has any direct or indirect connection to the vandalism at Kilovolt, but Ashley said it clearly reflects a sentiment that was likely behind the attack on his shop. "My business is very visible. It's a public space." "I want people to know that this is not Bank of America. This is not Starbucks," Ashley continued. "I don't pay minimum wage. ... I employ people and have a public space here for people to meet up and hang out. I'm not here to make a lot of money. I'm here to have a coffee shop for people. The response from the community has been great." Ashley said of the vandals: "Whatever message these people are trying to send is completely lost." Despite his frustrations with the vandalism — he said he had planned to do more hiring today that he had to put off in order to deal with the damage — Ashley said he does want there to be a public dialogue about gentrification. He added, "I want people to know I'm not here to try to make a lot money and move away. I'm here to stay."